Live in the 216. Work in the 440. Laketran connects Cleveland to Lake County. 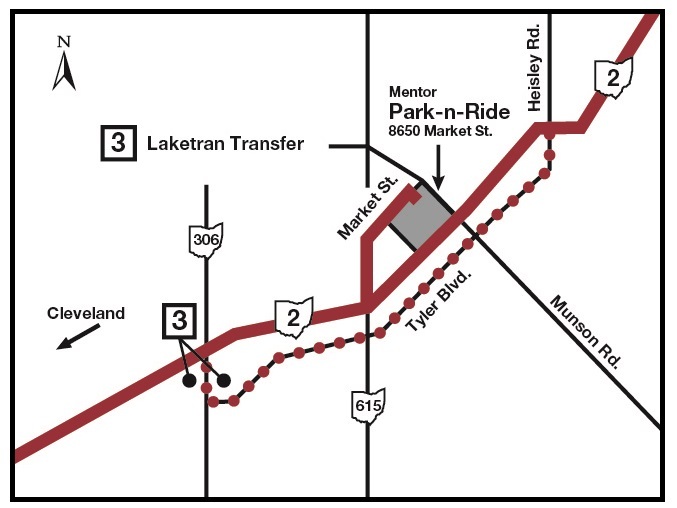 Laketran Route 10 & Route 12 now connect Lake County and Downtown Cleveland job seekers to Mentor’s largest manufacturing corridor with new transit service along Tyler Boulevard and Heisley Road and other areas of Lake County. 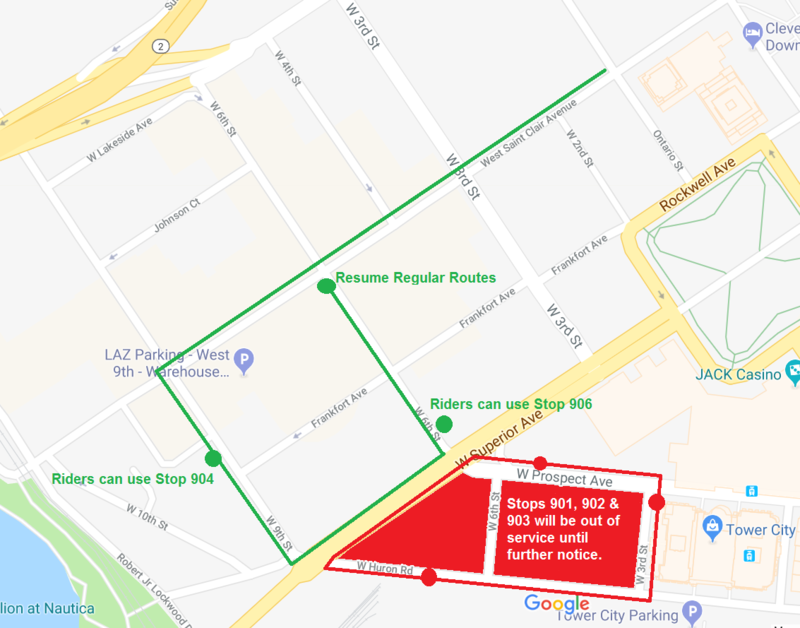 Six morning eastbound trips from Cleveland arriving to Tyler Boulevard between 7 a.m. – 9 a.m.
Lake County residents can transfer from Local Route 3 along SR-306 to access the Tyler Blvd. service. Local Routes 1,2, & 6 are just a short walk to SR-306 & Tyler Blvd from Mentor Ave.
Route 12 travels from Cleveland to Wickliffe Park-n-Ride, Eastlake Transit Center and Shoregate Shopping Center where you can transfer to Local Routes 2, 3 & 6 to reach jobs in Eastlake, Willowick, Willoughby, and Wickliffe. Download the new Route 10 schedule. Download the new Route 12 schedule. Read this story about Cleveland residents working in Lake County using Laketran to get there.